Any person who hires another to perform a specific task needs to execute an Independent Contractor Agreement. Such tasks may include the provision of IT services, mobile app development and maintenance, web development, digital or social media marketing and so on. An Independent Contractor Agreement is a written contract between the hiring company and the Contractor (Independent Contractor) describing the type of services or task that the Contractor is hired to perform or work product to be delivered. 1) XYZ Inc., a pharmaceutical company requires a software solution to integrate areas such as planning, purchasing, inventory, sales, marketing, finance and human resources and hires a software company, ABC Pvt. Ltd.(independent contractor) to develop an ERP management information system. 2) EFG Software Pvt. Ltd. has developed a B2B App and to market it, they hire LMO LLP. (independent contractor) to market it. A contract specifies important details such as deadlines, rights, and duties concerning the ownership of intellectual property in the work product, confidentiality, non-solicitation, termination clauses, etc. Intellectual Property(IP) clause: IP can include anything from source code and algorithms to correspondence and confidential information. Moving forward, Intellectual Property rights and interests could be of great value to your company, and it is crucial that the contract clearly and univocally addresses the issue of ownership of IP and the extent of such ownership. Compensation clause: It is but obvious that consideration must be stated in the contract. Adequate contract consideration is a very important aspect of any agreement and without which, the contract is unenforceable. Effective Date: The exact date when the Agreement takes effect, and the job starts. This can be the date of signing of the contract or an earlier or later date. Termination clause: The termination clause in an agreement spells out how the parties end their business relationship, what their respective responsibilities will be when the relationship ends and what clauses will survive the termination of the contract. Confidentiality clauses: Confidentiality plays a major role in independent contractor agreements with the key objective being to ascertain that both the parties involved in the agreement will maintain secrecy and high levels of confidentiality. This clause must be worded clearly and carefully by spelling out what exactly would constitute Confidential Information. Independent Contractor status: An Independent Contractor is not an employee for all legal and tax purposes. It also cannot participate in any of the hiring company’s employee pension, health, vacation pay, sick pay, or other benefits. When drafting this clause, care must be taken so that an individual hired as an independent contractor is not confused with an employee. Indemnification clause: An indemnity clause is an agreement for the transfer of risk between the parties generally to prevent loss or compensate for a loss which may occur as a result of a specified. Such clause is worded such that in case of any harm, or loss arising out of the contract, one party agrees to compensate the other. 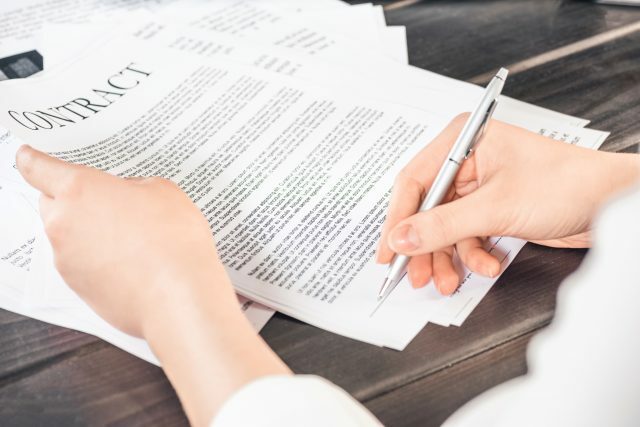 In addition to the above, other clauses such as non-solicitation, assignment, expenses, governing laws, waivers, and warranties also form a part of an Independent Contractor Agreement. Each word in a contract has meaning and legal effect and hence, contracts should be drafted scrupulously. It is always good practice to hire legal professionals with skill and experience negotiating and drafting these types of agreements. Please contact Legawise for assistance in drawing up commercial contracts such as an independent contractor agreement.